We are proud to announce that we have been listed in the Top 1000 Primary Schools in England, according to The Telegraph League Tables. Congratulations to everyone at Otford Primary School for their hard work and dedication. GREAT NEWS! School League Tables! This will be the final parent mail this term, I would like to share with you some great news before we break up for the Christmas break! 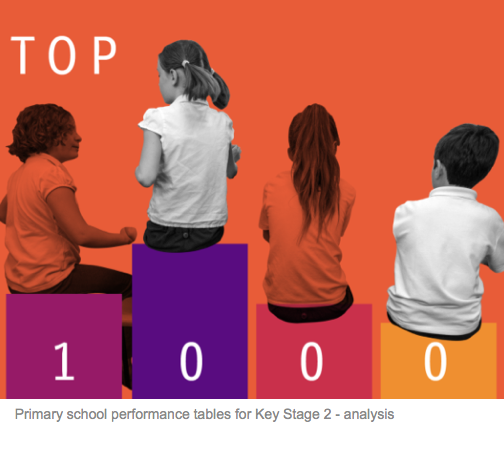 Otford Primary School has been listed as one of the TOP 1000 schools in the country as reported in The Telegraph last week. We are truly delighted about this, all schools have been ranked according to the results at the end of KS2 (Juniors, Year 6) 2016. I am sure you would agree that this is a FANTASTIC achievement for the school! This is particularly exceptional as the children have performed to an outstanding level in a test situation based on a very challenging skill based revised National Curriculum. I would like to extend my deepest thanks and gratitude to all the staff at Otford who show a very high level of dedication to the children. We will continue to ensure that the teaching and learning at Otford is inspiring, supporting children to excel in every year group. PARENT QUESTIONNAIRE- SAVE THE DATE! The School Governors would like to invite you to a meeting on evening of the 30th January 2017,- further information regarding exact timings to follow. Your questionnaires have been analysed and the Governing Body would like to share these results with you. It would be wonderful if as many parents as possible could attend- we thank you in advance for saving this date in your diaries.